How do YOU deal with difficult relationships? This is one of the themes we are working on in the Inner Mastery Academy Group Coaching Program as we each clear the path to achieving our vision. Our core emotional need is to feel valued and valuable. When we don’t, it is deeply unsettling, a challenge to our sense of equilibrium, security, and well-being. An overly challenging relationship, even if you recognize it as unhealthy, is often difficult to let go of. But if you want to reclaim your power and truly heal from a toxic relationship, you have to be willing to ask yourself some tough questions. What attracted me to this person? It doesn’t matter if this person was a business partner, significant other, or close friend. You chose to allow this person into your life because you found something desirable about him or her. Maybe you liked the way that your boyfriend made all of the decisions because it made you feel safe and cared for. Maybe you started working with a business partner because you admired her work ethic and found her attention boosted your low self-confidence. These are just a couple of the many possible examples. What were the early warning signs I missed? Most people who are difficult for you don’t wake up one day and decide to be toxic toward you. The truth is they’ve usually been difficult for you since the very beginning. You just didn’t notice until six, twelve, or eighteen months (or more) down the road. You have to understand this question is not about assigning self-blame. It’s not your fault that this person was difficult for you, although you may need to change how you perceive and respond if you want to improve the situation. And it is not really about focusing blame on the other person, either. However, if you don’t examine the warning signs then you’ll stay in the unhealthy relationship and will continue to be at risk of entering into a relationship with others who are also harmful to your well-being. Maybe the early warning sign was that your significant other was a bit too possessive and didn’t want you to have any male friends. Maybe the early warning sign was that a business partner always gave vague responses and never answered a question directly. You can create a pattern where you choose friends, business partners, and lovers that are toxic unless you start learning from these experiences — and you can create a pattern of finding and keeping relationships that help you enrich your life. Why did I stay with this person? Just as important as it is to recognize the early warning signs of a toxic person, it is also important to understand why you continued in the relationship. Some people stay in toxic relationships because they don’t want to be alone. or feel that they aren’t strong enough to make it on their own. Some worry about hurting the other person, or offending them and ending up with an enemy, if they speak and act directly and end a connection. Some people worry about what a potential breakup might do to their reputation or how it will disappoint their loved ones. Whatever motivates your decision-making, when you understand your whys, you can make more informed choices now, and in the future. How can I use this approach in order to grow? Once you’ve analyzed your relationships, it’s time to learn from them. Keep in mind this isn’t about indulging in self-guilt or heaping shame on yourself or the other. 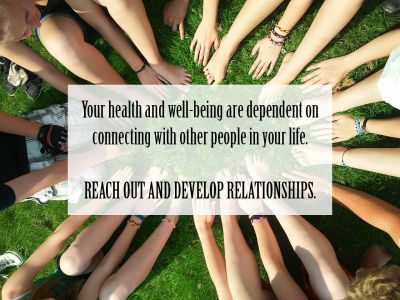 It is about using your relationships as a learning opportunity, in order to grow personally and professionally. What are the facts in this situation? What is the story I’m telling myself about those facts? Where is my responsibility in all this? How is this benefiting me? How many times has something that felt terrible to you in the moment turned out to be trivial a few days or weeks later, or actually led you to an important opportunity or a positive new direction? Probably more than once! That important opportunity or positive new direction may only occur if you look more closely at your part in choosing or staying in what you experience as toxic situations, and if you look more closely at your part in those situations, you can grow. Sometimes you can heal or improve the overly challenging situation, and in other cases, you need to scale back or end a relationship in order to take the next step in your growth. 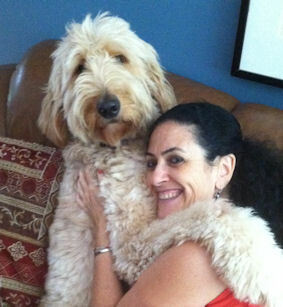 I work with many clients on how to enhance relationships of all kinds, whether at home or at work. And the evidence I have seen through my work is that we do NOT need to live under the weight of bad understanding or bad decisions. We can indeed find the right understanding and the right path to live a fulfilling life, full of positive relationships. Isn’t that something worth paying attention to, and mastering? Yes, the inauguration was today, January 20, 2017. We can choose to worry or perhaps feel good about it. Or we can continue our own meaningful lives, including some caring about the politics, but not giving it great, overwhelming importance. Life is meant to be lived with intensity, awake to each moment. When that fades a little, we can become distracted — by the need to pay bills, by the weather outside, and yes, by inaugurations and other notable news in the media. To be clear, living with intensity does not mean living anxiously. And not worrying about paying bills does not mean we ignore them and choose not to pay bills. 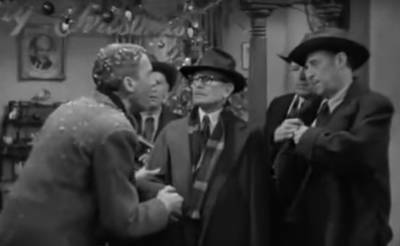 In “It’s a Wonderful Life”, near the end, the main character (Stewart) is in trouble through no wrongdoing of his own, and is about to be arrested. 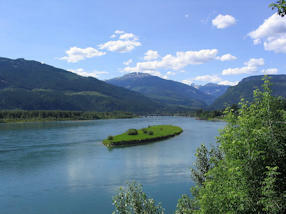 But he has so strongly woken up to the meaning of his life that he says joyfully to those present, “Isn’t it wonderful? I’m going to jail! !” He is carried away with the beauty and meaning of that moment. You can see the clip here (start at 2:00 if you just want the section that I am describing). Even if we are not swept up in that degree of intensity, I know that we can all find meaning in each day, and in each moment, that can provide beauty and inspiration to us. I will not let the ups and downs of those far away, control how I experience the world. I can find ways to support some policies and fight against others, but in my heart, I always want to remain the president of my own life. When life is lived wide awake, with all its meaning, we make things better not only for ourselves, but also for other people. As far as I am concerned, that is what matters! Better for me, and better for all of us. So, I do feel the shifts that appear to be happening now. We don’t know where they will lead. But life itself is still amazing, and I intend to make every minute count. Are there times you find yourself in a place of fear, worry, or guilt? I think we all do, which is part of being human, where we move to a more “unconscious” state. Once you have realized this, it’s time to stop and become aware of the present moment. That is what mindful living is about; for the next month I am focusing on this theme. Mindful living is about living in the moment without judging yourself or others. Sometimes we may tend to live on autopilot, and living mindfully can feel challenging. For example: you are going to the movies with your spouse, but as you are driving you start thinking about the argument you had with him or her three weeks ago. Before you know it, you’re all fired up again. Instead of living in the current moment, you find yourself re-living the past. This makes it hard to move on, and can lead you to carrying around anger and other unpleasant emotions, which of course (in this example) will affect your relationship. Instead of reacting emotionally to situations as you might when on autopilot, you can choose to focus on the current moment without letting your emotions take over. You might see a distressing story on the news. You feel angry and sad. But instead of reaching for your phone to distract yourself, you stay in the moment. You acknowledge your emotions without judgment. This practice frees you to stay in the present moment. There are times that you may be doing tasks that you perceive as unpleasant, such as while you are cleaning your home or compiling boring data for a client; it can be tempting to let your mind wander at such times! 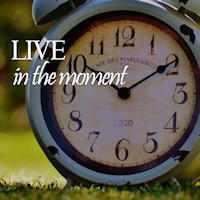 But part of mindful living is staying in the moment, even if that moment is unpleasant or uncomfortable. Unpleasant moments can become more enjoyable when we have the right frame of mind! Just because you are staying aware during what is usually an unpleasant moment, you don’t have to give into feelings of negativity. Instead, focus on giving thanks. For example, you might say and feel something like, “I’m grateful that I have enough clients to pay my bills” or “I’m blessed to have a home to clean.” Now, you’ve managed to stay in the moment without letting yourself focus on the negative. Few things can improve your mood quite like mindful living. Often, anxious thoughts are the result of worrying about the future while sad thoughts are related to regretting the past. Mindful living helps because it forces you to stop over-thinking. Sometimes, in order to shift into a more mindful state, it helps to pause the usual daily activities, and to sit and meditate or engage in other fully-focused practices such as Tai Chi Chuan, or perhaps walking in nature. Joining with others who provide support and help you see a bigger picture to life than the individual ups and downs, can also be very helpful. Mindful living is one simple way to improve your life. Try to spend a week focused on mindful living and see how your thoughts and feelings change. 1. Describe a situation where you were running on autopilot rather than feeling present in the moment. 2. List three common activities you do while on autopilot. Why do you think you do these tasks on autopilot? 3. How often do you find yourself reaching for your phone to check for messages or calls during a typical day? My sweetheart and I went whitewater canoeing in Narrowsburg, NY two weeks ago. This was my first time in whitewater. For me, being in nature and exploring new adventures brings growth. The uncertainties of an unknown deep forest path, a challenging mountainous hike – and now whitewater – allow me to go deeper into my strength and to know myself better. You experience for the first time what being in the rapids feel like. 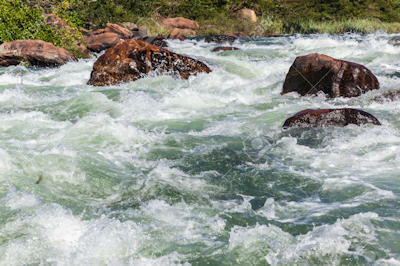 There are rocks everywhere, the water is powerfully rushing forward, with you on it, and you barely know which way to sit and which way to steer, because anything can turn the canoe over or cause it to flood with the onslaught of water. My experience was that I felt a gushing of blood throughout my body and my head screaming “What did you say YES to?”, but along with that came the feeling of excitement and challenge. I wanted it to end, but I knew we were in the middle of this event, and we were the only ones who could get us through to the other side, where peace reigned. As this was happening I took a deep breath in, needing to be present to make the right decisions. That also brought to me the awareness that I was not alone. 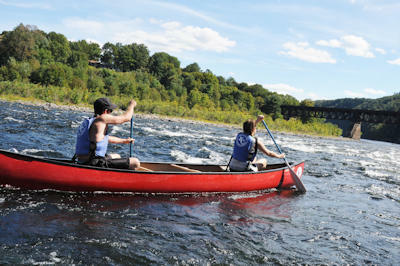 If my partner and I communicated calmly and clearly we would win this race against the rapids, as a team. We needed to encourage each other and to do our responsibilities in the best way possible. I was to detect the rocks so that we would not get stuck or have a strong collision, and David who could see the wider view would guide the canoe, using my rock-avoidance instructions, so that we could move forward. Despite our best alertness, we did get stuck against a large rock, and the water pressure prevented us from simply pushing ourselves around that rock. We were stuck, and water started to enter the canoe. First David got out of the boat and stood on the slippery rock and pushed the boat, but that was still not enough to free up the boat due to the intense pressure. Can you picture this scene? I started to get out as well, onto that slippery rock, but fortunately putting one foot on the rock released enough pressure, and now the boat could move! My teammate managed to jump back in the boat, and we were off. Sure, the boat had taken on some water, but we did not sink! The struggle was temporary, and after some less powerful rapids, we were on the other side, and the calm waters and the stillness with all its glory was waiting for us. While in the middle of those rapids, as well as some lesser ones that we also faced further down the river, I had to be present to skillfully manage the planning for the direction to take, and to paddle in order to move forward without tipping the canoe and without major collisions with rocks. It was afterwards as we were in the calm waters again that I could draw the analogy of “whitewaters” to life and business. Sometimes we are in the middle of significant challenges in life generally, or in business, but working with focus and confidence, both as an individual and as a team, is a growth experience. If managed well, it builds confidence, as well as closeness and mutual trust. Experiential travel like this whitewater adventure is awe-inspiring, soul-stirring, heart-opening, fun, and life changing. Pushing one’s limits in order to achieve a desirable goal, and doing so as part of a team effort, is exhilarating. Those on your team with you, and yourself, can all take inspiration in experiences of shared effort and overcoming obstacles. I know that sounds like a cliché, but I was reminded of the fundamental truth to that message by my visceral experience in the Delaware River. Perhaps you feel that way too — that exploring new environments and experiences that support growth can open doors to more meaning in life, more confidence, and in general, more well-being. I invite you to travel with me to the beautiful, inspiring Azores Islands, located between North American and Europe, to awaken yourself in the wonders of nature, under the leadership of myself and my partner in this adventure, Christine Neve. While we will not be facing whitewater there, there will multiple opportunities to grow into a stronger, clearer you! In our highly developed country, and in other industrialized “first-world” nations, we are all usually taught about bank accounts, about saving money, and about the kinds of work we can do in order to gather enough money so that we can save it. The goal is to have security, a certain kind of lifestyle, and probably ultimately retirement. Is there anything wrong with that focus? Maybe there is — it does not include development of other vitally important aspects of life. 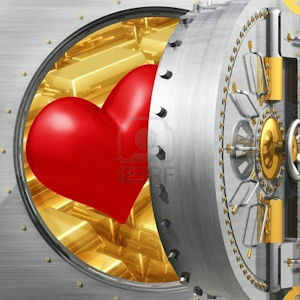 The financial security and lifestyle approach is sorely lacking as a representation of what creates a meaningful life. So I invite you to think about “bank” accounts in an extended model — an extended model which will lead to success and fulfillment. As we all know, bank accounts can grow, stay the same, or diminish, and possibly even go to total depletion. In order for us to achieve a life that matters, it will require us to consider more than our literal bank accounts. Seen in this way, the reality is that we also have physical health accounts, mental health accounts, and societal/relational accounts, in addition to the literal bank accounts. Is it possible that we are forgetting some of the other accounts while we focus on the bank account? Most individuals have not been taught (unless they are very lucky) to think of all these accounts with the same clarity that is devoted to the bank account. But if we are not attuned to and attentive to our various other accounts, they can go to zero or even negative values faster than we can imagine. How often does an event in an individual’s life throw all of his or her plans into disarray? This can be economic loss, loss of a loving relationship, or other serious life events. Are we prepared to deal with the ups and the downs of life with stability and gratitude, even though some situations can be challenging? If we pay attention to all of our accounts with some wisdom, we develop real wealth in all these important aspects of our lives. We know how to measure what is in a bank account. Then, how do we know the state of our other accounts? In a few words, if we have progress and passion in our lives, that indicates healthy accounts; if we feel stuck, angry, or lacking in energy, that points to an imbalance, or lack, in one or more of the other accounts. In my talk on Tuesday at the Long Island Owners Forum, run by the New York Chapter of Exit Planning Institute, I discussed this issue in greater detail. There are experiential exercises and other growth work that can help each person connect values to their actions, on a personal and daily activity level. When that connection takes place for a person, all the accounts start growing. It is as reliable as planting a garden and making sure there is the right amount of water and nourishment as appropriate to each particular plant you are growing. When that is done, your garden will grow. When you pay attention properly to all of your accounts, instead of only to or primarily to your bank account, your life gains meaning and you start living richly. Throughout your life, you can continue to grow as a person, becoming more helpful to others and finding more purpose and fulfillment. Isn’t that a goal worth pursuing? In my Inner Mastery Group Coaching, this month we are focusing on Emotional Wisdom. Since emotions play an important part in our day-to-day living and have a big impact on our overall well-being and sense of fulfillment, I want to share with you useful ways we can use our emotions productively. The first thing we have to do is feel our emotions. Don’t judge the emotions, don’t deny them, don’t repress them. Just feel them. We don’t typically think about emotions as having “wisdom”; we often think of them being out of control, or beyond logic. But that is where the concept of emotional wisdom comes in. Over the years, researchers and thought leaders have begun to point out that emotions arouse, sustain, and guide our human activity. We have learned that they are not in opposition to overall wisdom, and that in reality they are themselves an important aspect of wisdom. 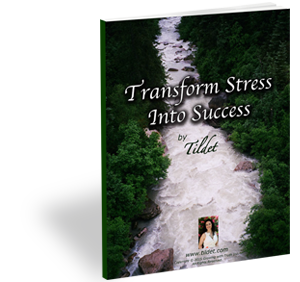 Handle frustrations – that is, our own as well as others’ frustrations. The ability to accept delayed gratification is an important aspect of this. Understand our own emotions, and understand others’ emotions, so we effectively express and interact with the experienced feelings. Manage our social skills (i.e. expression of feelings and our connection with others) so that we can more effectively live and work harmoniously. So, how should we define emotional wisdom? Emotional wisdom can be defined as the ability to understand your own emotional state and the emotional states of those around you. And it is the ability to use our feelings to guide our thoughts and actions in appropriate ways. Emotional wisdom, then, is about self-awareness, as well as managing our feelings so that they are expressed appropriately. It is not about suppressing emotions, but being able to understand how you are feeling in that moment, and what valuable aspects are contained in those feelings. Emotional wisdom enables us to deal effectively with people and problems in ways that reduce anger and hostility, foster collaborative effort, produce creative energy, and enhance our life balance. 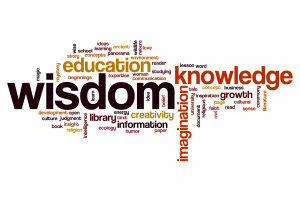 There are ways to increase emotional wisdom; this is a process that starts with working on self-knowledge and ultimately, with developing of inner mastery. These are the topics of our current work in the Inner Mastery Group Coaching. My sweetheart’s question made me stop and think. Do you know what his question was? Here is what came from my reflection on that question; it seemed important to share. 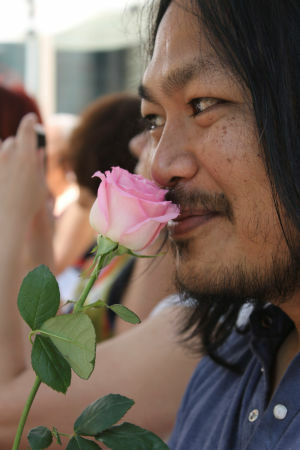 Roses are a symbol of love, beauty, and soul in Christianity, Islam, and Judaism. They are popular in the Middle East and in India, and in many other countries. For me, roses are also a symbol of awakening and unfolding, because of my experiences of meditating and finding myself while seated in my 90-bush rose garden. Roses have a special place in my heart as they are the medium wherein I woke up to new realizations and a richer experience of life. Unfolding to know myself, unfolding to express myself authentically: unfolding my highest potential. 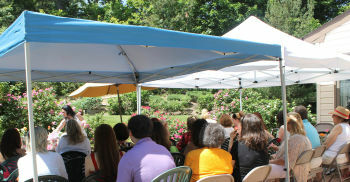 Although I sold my house and its rose garden a year ago, that experience continues to unfold. first helping each person drop the busy, anxious mind that we often have, by centering in present experience. then, when everyone feels safe, exploring the nature of being present, and what each individual’s experience is (for those who wish to share). then we deepen that experience of presentness through meditation and experiential exercises. finally, we leave the event carrying with us a more embodied awareness, appreciating each moment more fully and with less worry for the past, present, and future. When you open up to go deeper into your own being, you have an understanding of the impact you make in your own life and the life of others through mastery of yourself. This awareness takes away from the anxiety that makes you believe that outside circumstances create your life, and instead into a response-able mindset where you know that through inner mastery of yourself you become the creator of your own life. We are each a beautiful unique rose in different colors, shapes, and sizes, with our thorns and all. And we are each the gardener, knowing when to fertilize, prune, and water ourselves! We are each whole and complete; it is not our relationships, businesses, or wealth that determines that. Let’s awaken the force within each of us that can become our most powerful ally in all aspects of living. Sometimes, I visit the lake in my local park. It is beautiful. But even more important, I can sit quietly and meditate. 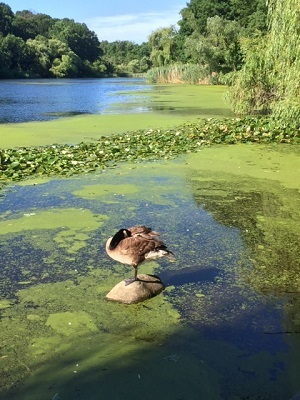 Last week, I felt energetic in the morning and decided to visit the park, sit by the lake, and meditate. Meditation is different than just sitting back and relaxing. I sit with my back straight (but not tense), my feet well supported, and my eyes half-open so I am neither disconnected from the world nor overly aware of the visual scenery. My hands are touching near my abdomen. All of this is a proven position that causes one’s mind to move toward deeper awareness without feeling sleepy or “lazy”. For those who have not tried meditation, I will try to convey the nature of that experience. I set my timer for 15 minutes on this particular morning, and settled in. During that period of meditating, I was aware of a number of individuals, couples, and families passing by, some with dogs, some without dogs. Some looked over at me (adults, children, and dogs), and some did not. But I did not worry about any of that or become particularly interested in the details of who passed by. I let it go. At times I felt the gentle breeze blowing and saw the leaves rustling in the breeze, and saw the lake spread out before me. At others times, I was not aware of anything external and was in some deep place. This often happens for those who are familiar with meditation. Finally, the timer softly summoned me back. After a few seconds, I reconnected to myself and my surroundings. But the world felt different. There was a softness and tangibility to every little item and every little movement. I felt deep delight as each leaf waved in the wind. I heard the sounds of the birds chirping with pleasure and a thrill. The lake seemed especially serene and precious. Although I enjoyed this nature scene beforehand, after meditating I truly appreciated each aspect of the surroundings, and felt an openness and softness in myself and in the world around me. And, it is good to know, this happens even if I meditate in my house or elsewhere. The ordinary objects of daily activity take on more life and meaning. I appreciate the people in my life, and welcome their “positive” as well as “negative” characteristics. I meditate regularly, and also enjoy the slow, moving meditation of Tai Chi Chuan. These practices help me find more meaning in each activity and interaction of daily life. I am grateful for these practices. I would like to recommend that you try them too! Ask me, if you would like some suggestions. Last week I was taking a series of online trainings in order to improve the range of what I can offer to my clients, as well as to better manage my business. After several days of this, I found myself feeling sad, and struggled with that sensation for two days. That uncomfortable experience forced me to slow down and reflect, and as I reflected I gradually realized that I had been trying to follow others’ strategies and approaches that were more aggressive and “external” than the approach which I prefer. I was losing myself and my own spontaneity by trying to achieve goals that were not in alignment with my own values. That realization helped me shift into a more positive and empowered state of mind, with connection to who I am and to my values. With my authenticity restored, I could resume effectively doing the work I enjoy so much — helping my clients to find more well-being and build stronger relationships, as well as to enjoy more success in their work lives. What would happen if we always stayed in touch with our own sense of satisfaction and spontaneity as a guideline of what is healthy and safe for us? Let me make an analogy. Suppose we are in a thick forest — the forest of life. In the forest, there are a variety of trails. 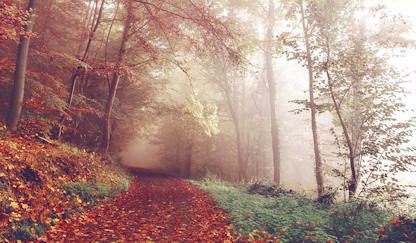 When we walk on the trail we choose, we can advance ourselves towards our destination. When we leave our trail for whatever reason, we are slowed down, struggle to move, and can feel lost. Hopefully we realize this, and find our way back to a trail to advance with freedom again! To complete the analogy, if we have completely lost track of all the trails, we may need help from someone who is familiar with the forest, to help us find and stay on the trail that we want to follow. Usually we leave “the trail” because we think someone else, from our past or our present, has a better approach to being happier, having a better relationship, being wiser, or making more money. Because of the fear of rejection, because of that fear of not fitting in, because of thinking “what if I don’t get what I want from others”, at times we start holding back, and becoming second best to ourselves. It is easier for us to accept being rejected for who we are not than to be rejected for who we really are. But let’s turn things around, because what you are and what you are here to give to the world is unique to you. I think we are all unique men and women, capable of giving birth. At all times we are giving birth to different expressions, different needs, different contributions in the world. In whatever area that is: as a plumber, as a doctor, as a knowledge worker, as a painter, as a teacher, as an entrepreneur. So what would help us to freely express ourselves? One of the things I can offer is this question: what if we stopped comparing ourselves to others? What if we ranked ourselves and our success based on how we feel? What if we focused on the satisfaction factor, an inner signal that we all have. One of the most asked questions I have is how to feel balance and satisfaction. People may have “success”, or not, but there is something missing. And I think what is missing is the true birth of ourselves that we are here to give. One way to achieve that is to follow our hearts in each action, and each word, fearlessly fighting to express our most authentic selves. Imagine how the world would be if we all could offer the world the gifts we have inside. When we come face-to-face with ourselves, loving and embracing the person we meet, instead of focusing on the messages telling us that we are not good enough or should not be who we are, a whole new level of freedom happens. The key ingredient to your well-being and success lies in your ability to embrace your authenticity. The world needs the authentic you! Many people want to know how to have work-life balance. It’s a great question and one that hits my heart, because of all the struggles I have seen people experience around this issue. As I am observing our society, unfortunately we have (mostly) become a doing society. People have a to-do list and they’re running after it and when they’re finished nobody’s feeling satisfied or happy. They just are left with more things to do, and just cannot stop the doing. And the more we do the more we want to do. In order to find work-life balance, you really need to work on balancing your doing to your being. 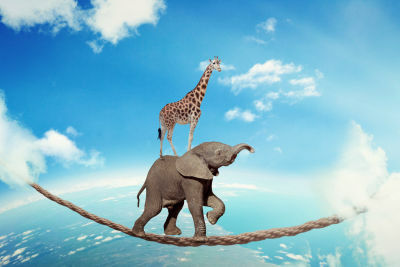 Taking time away from your doing and connecting to your being and allowing your being to expand is going to make you start feeling that balance. Work-life balance is the same thing as doing and being, achieving and feeling fulfillment. As you start being aware of your doing and allowing yourself to be and start harmonizing the two, you will see that your work-life balance will organically present itself. Try it; I know you can find it!